From your Gallery Dashboard under settings you can see that Downloads have been Disabled. (2) select "Require Pin For Downloads" if you would like to add a PIN password for Downloads. Then, enter the number you would like to use and Share that number to your Clients (Ex. PIN number 1234). 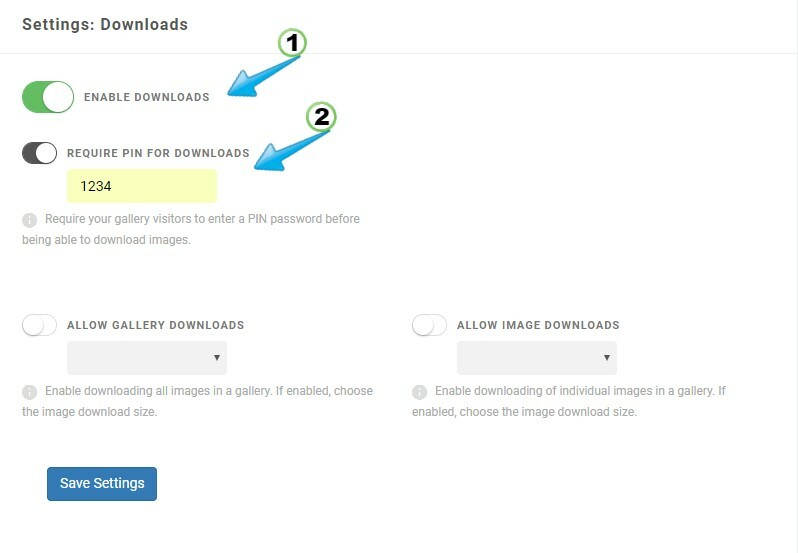 You now have the option to (1) Allow Gallery Downloads or (2) Allow Image Downloads, or both. 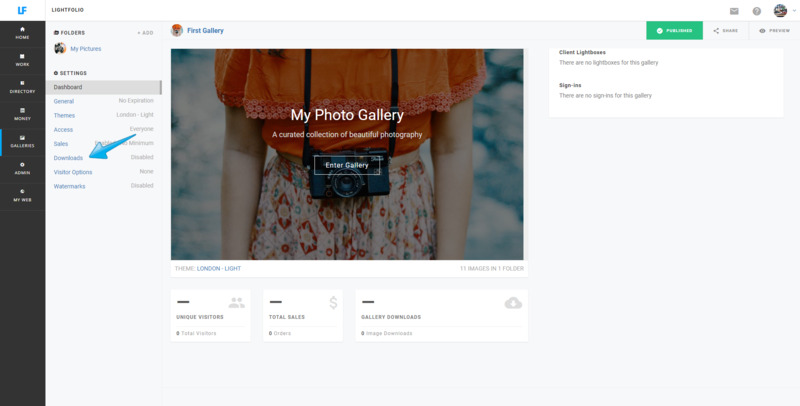 If you enable Gallery Downloads you are allowing your gallery visitors/clients to download the entire gallery, which will then be sent to their personal email. 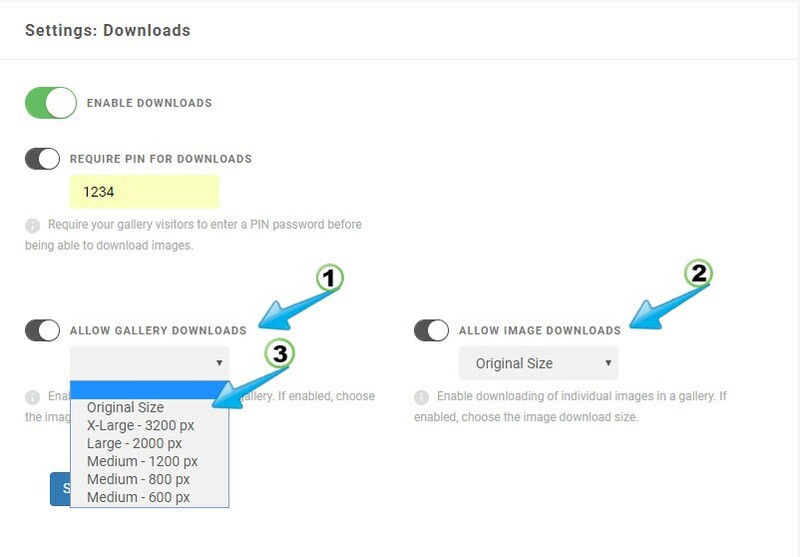 If you enable Image Downloads you are giving the option to download single images -- as many or as few as your clients would like to download. Before you "Save Settings" be sure to select from the drop down (3) Image download size. 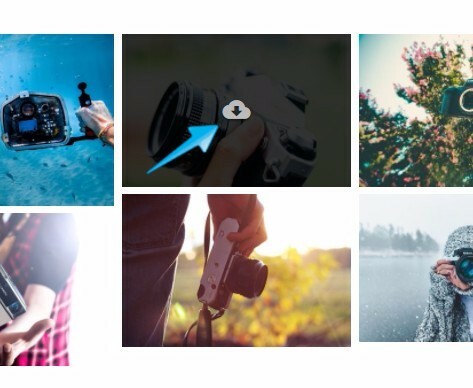 Now that Downloads have been setup you can Preview your gallery to see the Download icon appear on each image.